On October 20, 2016, Bloomsbury Academic Press published my first book about Spanish, ¿Por qué? 101 Questions about Spanish. While textbooks, grammars, and conventional Spanish classes explain the “what” of Spanish grammar, pronunciation, and vocabulary, ¿Por qué? supplies the “why”. What makes ¿Por qué? special — or even unique? 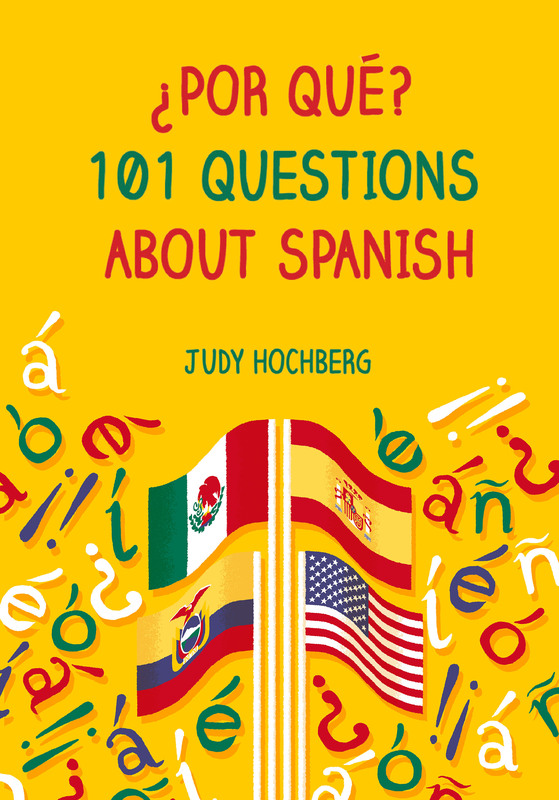 The answers to the 101 questions mingle the history of Spanish, linguistic principles, comparisons with other languages, and Hispanic culture. It is both scholarly and friendly, thanks to its Q/A format, informal tone, and no assumptions of previous knowledge of linguistics — or even Spanish. 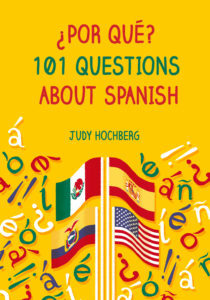 The 101 questions focus on the most interesting aspects of the Spanish language (in the author’s opinion). It includes topics that most books about Spanish ignore, such as first and second language acquisition, Spanish sign language, punctuation, Spanish Pig Latin, and text messaging. ¿Por qué? is available from Amazon and Barnes & Noble, and from various Amazon resellers at a discount. Currently, Bloomsbury USA and Bloomsbury UK are offering a 35% discount (use checkout code PQ101, paperback only). If Bloomsbury is out of stock, don’t trust their “email me when available” functionality; in that case you may be better off just getting it on Amazon, which has a 10% discount. You can see a list of the 101 questions here; click here for book excerpts including the Preface and some favorite questions/answers. There is also a companion website, which you can read about (and link to) here. ¿Por qué? 101 Questions about Spanish is for anyone who wants to understand how Spanish really works. Standard textbooks and grammars describe the “what” of Spanish – its vocabulary, grammar, spelling, and pronunciation – but ¿Por qué? explains the “why”. Why are so many Spanish verbs irregular? • Why does Spanish have different ways to say “you”? • Why is h silent? • Why doesn’t Spanish use apostrophes? • Why does Castilian Spanish have the th sound? Packed with information, guidance, and links to further research, ¿Por qué? is an accessible study guide that is suitable for Spanish students, instructors, native speakers, and the general reader. It is a valuable supplementary text for serious students of Spanish at all levels, from beginning to advanced. ¿Por qué? also covers topics usually left to specialized books, including the evolution of Spanish, how children and adults learn Spanish, and the status of languages that co-exist with Spanish, from Catalan to Spanish sign language to the indigenous languages of Latin America. Judy Hochberg has a PhD in linguistics from Stanford University, and teaches Spanish at Fordham University, New York.